Henley Honda | Safe Driving | The First Snow Has Fallen…Are You Prepared? The First Snow Has Fallen…Are You Prepared? 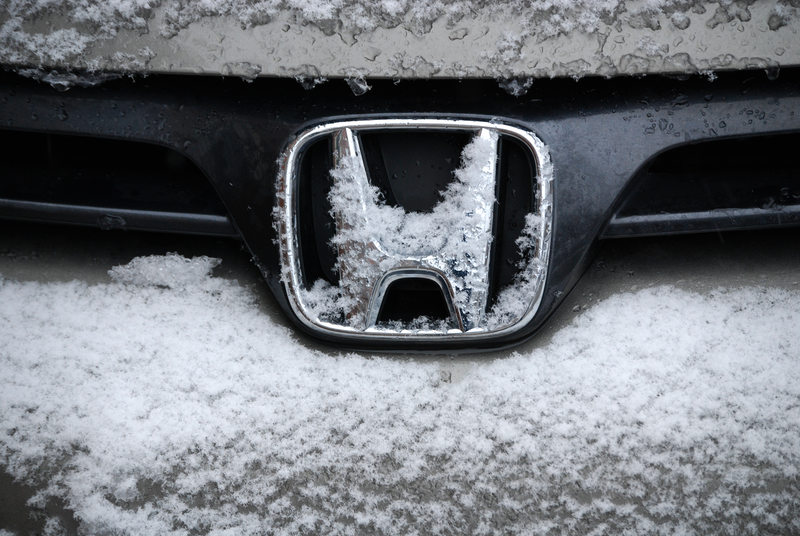 For most people, its not the best news to hear, but snow has officially started to fall, meaning an early winter and less prep time for weatherproofing your Honda. Winter to some is all about the fun cold weather, “family fun times”, and warm drinks, but to others its a bit of a frightening time to be on the road, or dealing with car trouble, especially for those of us who are new drivers or drive often. However, we at Henley Honda care about your safety, and this post will tell you about how to keep your car running and surviving the coldest of winters. The wise old saying of “Better safe than sorry”, is nothing but true when it comes to driving in the winter. We’ve seen the first snowflakes of the year, which means its time to throw on the winter tires and lose the regular or all season tires that you have on right now. The waiting room at the collision reporting center is no place to be thinking about winter tires. Low temperatures can cause regular and all season tires to get stiff and lose traction, where winter tires are built for the specific task of remaining flexible under cold temperatures to ensure the highest levels of traction possible. Another important thing to remember is to change the fluids in your car. In terms of car oils, there are specific oils with a lower viscosity that are better suited for winters, that can run through the car much more smoothly. You can find information on which oils are best for your Honda during the winter in the extensive Owner’s manuals that come with each car, or if you prefer you can always drive into Henley Honda for a genuine Honda OW-20 oil and filter change at the lowest price guaranteed. The most important thing when driving under harsh weather conditions is visibility. And having new windshield wipers can almost guarantee that you’ll be able to see when the snow starts falling. Also be sure to check your battery at the start of the season to ensure that it doesn’t die out on you in the midst of a winter storm when you need it most. Also be sure to wipe away any debris and corrosion that may have built up over the year. Now we understand that this is a lot to deal with during a busy lifestyle, and we’re here to help. So don’t fret about dealing with your car this winter and come into Henley Honda and have us weatherproof your Honda for you.